HomeTake ActionDay Of NinjaTake Martial Arts In Your 50’s, 40’s, or 30’s? The Answer? Yes! Take Martial Arts In Your 50’s, 40’s, or 30’s? The Answer? Yes! At 50 years old, a mother of four, wife, writer, and full time paralegal, you might think I have l little time for anything else. But let me tell you a secret. I have time for that and much more. In fact, I think I do more in a day than most women half my age. I’ve learned how to be, of all things, a Ninja. Let’s start with twenty-five years ago when my husband dragged me to my first martial arts class. Break boards? Spar? No, no, no… that is not for me, I thought. Fast forward twenty five years and I stand before you as a second degree black belt, an instructor in our family-owned martial arts program, and a martial arts writer, but my life is oh so much more than; that is what it means to me, to be a Ninja. Yes, you can, The benefits are numerous. Physical strength, flexibility, keeping fit, and aging beautifully. People often comment that they think I look younger than 50 years old. This, my friends, is due to a lifetime of martial arts practice, thought, and participation. And, in fact, I feel much younger than 50 years old, too and find a way to fit so much into my life each and every day. There is no good or bad time to learn a martial art. There is a smorgasbord of different arts out there so the key is to find one that works for you. Mine has been Tang Soo Do, a Korean karate. Its techniques include kicking, punching, kata, sparring, and some ju jitsu (grabs and throws). I never was one to be great at a running jump side kick over twenty crouched down people to break a board, so no surprise that I don’t do that now that I’m 50. The things I did do well when I was younger, I still do well. And so, the fountain of youth that I lovingly call karate has kept me young physically and mentally. But that’s not all. My martial arts has kept me active in all kinds of other exercise- Zumba, weight machines, aerobic classes, and Yoga. I can do it all. What if your goals have nothing to do with aging gracefully or even keeping in shape? There is so much more, just for you. Do you want to break free if attacked? Feel confident? Learn how to throw someone with just one finger? The options are limitless. Each instructor, sensei, or master, has strengths and weaknesses, both mentally and physically but each one can turn to his/her martial art to find an answer. I am looking to learn Tai Chi now, a Chinese Martial Art, because of the awesome health benefits it offers. So, even those of us with years of experience often delve deeper in our journey. 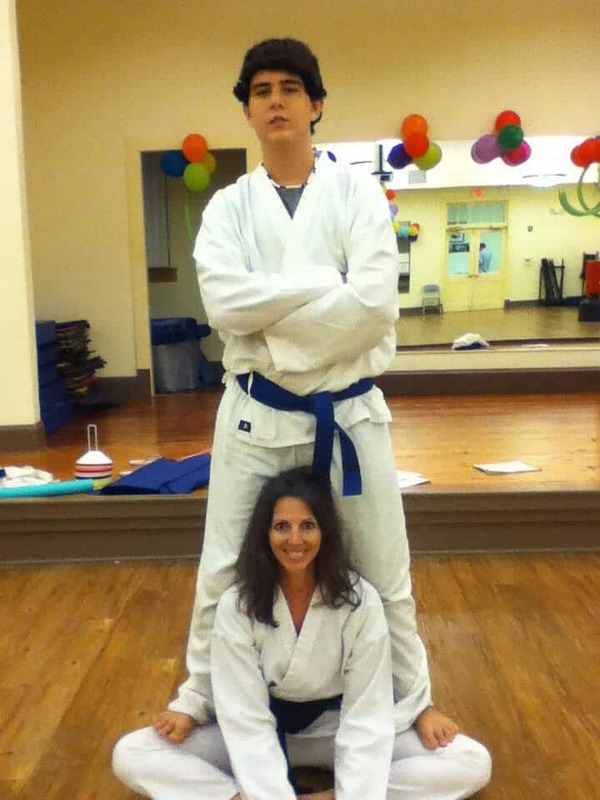 Andrea Harkins is the owner of the Family Martial Arts program and is a 2nd Degree Black Belt in Tang Soo Do. 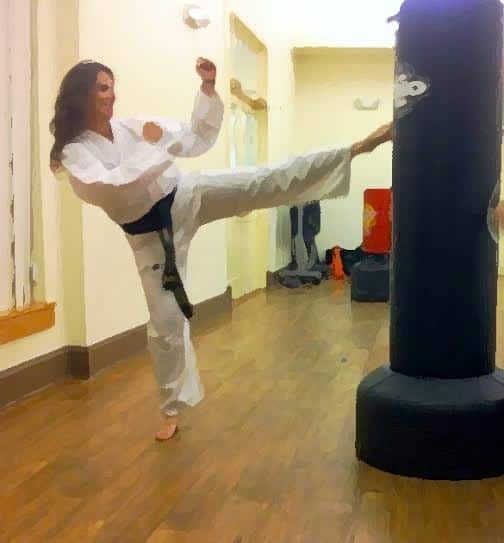 Being a wife and mother of four kids, she is also a published author, whose passion is teaching Karate to children and women.